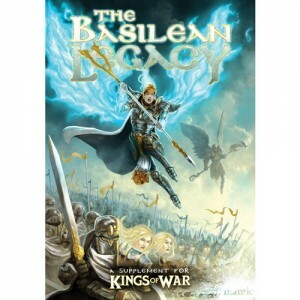 Mantic has started taking down names of those of you gamers who want their Basilean Legacy supplement book for Kings of War as soon as it's available. The Basilean Legacy has gone to print and we couldn’t be happier with the result – it’s a sublime book, packed full of awesome colour photography and some killer rules. Not only does it contain the Basilean Force List, the history of Basilea and its Celestial allies, it also contains two additional army lists for the Forces of Nature and the daemonic Forces of the Abyss. But that’s not all! This magical book just keeps on giving with an expanded Magic Spells section and all-new Magical Artefacts with which to customise your units with. Better still, the new enchanted additions are mostly comprised of suggestions from the community. Pre-order your copy here or grab it free as part of our Basilean Army Deals – if you play Kings of War you’re going to want this book in your collection!